From 2007 until 2019 BASTIAN has shown exhibitions dedicated to modern and contemporary art. At the beginning of this year, the Bastian family has donated their building Am Kupfergraben to the State Museums of Berlin, who will establish an art education center there. In Berlin-Dahlem BASTIAN has offices as well as a private showroom open by appointment. Established by Céline and Heiner Bastian in 1989, the gallery is directed by Aeneas Bastian since 2016. 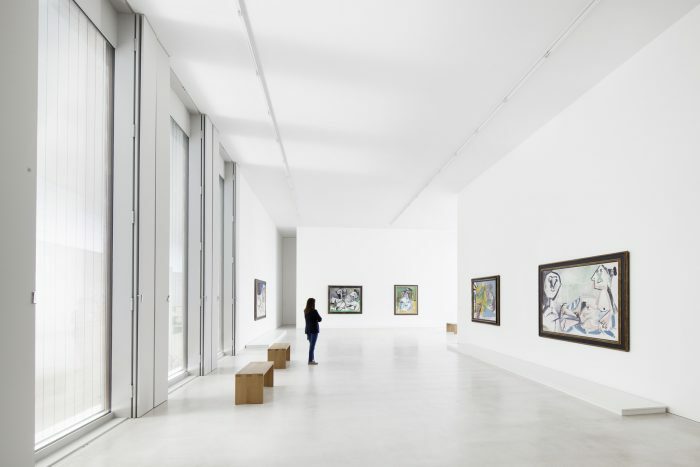 20th Century artists, such as Pablo Picasso, Jean Dubuffet, as well as German and American post-war artists including Joseph Beuys, Anselm Kiefer, Cy Twombly, Robert Rauschenberg and Andy Warhol, form the core of the exhibition program. The gallery publishes numerous exhibition catalogues, artist monographs and catalogues raisonnés. Galerie Bastian participates at international art fairs, such as MASTERPIECE London, Art Berlin and Art Düsseldorf. Located at 8 Davies Street in Mayfair, the London gallery opened on 1 February 2019. Our inaugural exhibition »Andy Warhol Polaroid Pictures« is on view until 13 April 2019.